Cyber Monday starts now. And with stores (and websites) opening their doors earlier than ever, it’s vital that you know the best deals ahead of time (how to prepare for Black Friday 7 Sure-Fire Ways to Be 100% Prepared for Black Friday 7 Sure-Fire Ways to Be 100% Prepared for Black Friday Here's how you can make the most of this year's Black Friday online. Read More ). We’ve scoured the early leaks and picked out some of the best Cyber Monday deals. These products are both well-reviewed and come at a solid discount, so set your sights and get ready to shop. What Will You Grab on Cyber Monday? We’ve shared some of the top tech picks for Cyber Monday deals. Of course, these are far from the only deals that will be available. Be sure to keep an eye out for savings on other categories of goods, as lots of retailers are participating! 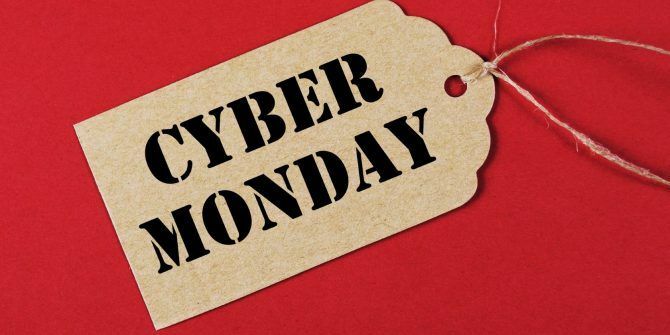 While you shop, make sure to keep an eye out for Cyber Monday scams 7 Scams to Watch Out for on Black Friday and Cyber Monday 7 Scams to Watch Out for on Black Friday and Cyber Monday While you shop for deals this Black Friday and Cyber Monday, scammers will be looking for YOU. Here's how to shop safely online. Read More . Explore more about: Amazon, Chromebook, Cyber Monday, PlayStation VR, Smart TV. The 5 Best Airpods AlternativesWhat’s the Best Router for Gaming? Weak my mobile connection samsung galaxy note gt-n 7000 i want new softwear in my phone.